This Breguet 3810 Ref. No. : 76639 was auctioned at Worthy. The man's watch is 42 mm in diameter with stainless steel case, leather band. It features day, chronograph complication and automatic movement. It is in very good condition and attracted 255 buyers. 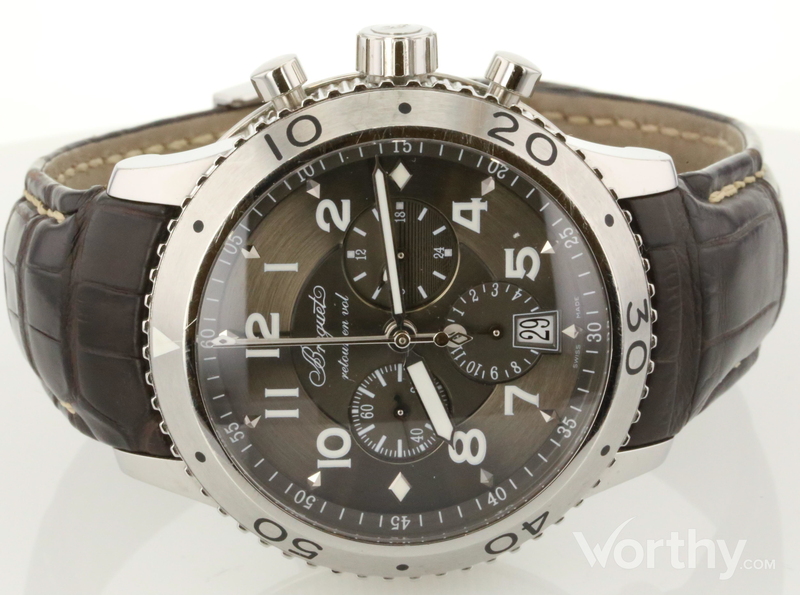 Breguet Transatlantique Tyler XX1 with a brown dial.Watch has a brown leather band that shows very minor wear. No box or paperwork. Hands are moving but watch has not been tested.